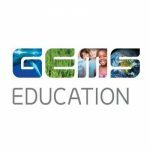 One of the oldest schools in the country, GEMS Our Own English School – Dubai, has been providing outstanding education and support to students from across the globe for almost four decades. Affiliated to the Central Board of Secondary Education, New Delhi, India, they currently have over 10,000 students from Kindergarten to Grade 12, representing over twenty-two nationalities – making us a truly international community that epitomizes multi-cultural Dubai at its finest. We are looking for outstanding teachers who are excited to join our world-class schools and are driven to provide education at an exceptional level. GEMS teachers enjoy an enriching school environment in which to deliver a dynamic and creative curriculum to motivated students. 2 years teaching experience in special education.